I'm the best person for the job of LD5 Senator, because I'm not afraid to stand up to and agitate the dysfunctional status quo. I'm not a politician (or a diplomat); I'm a political activist who is "fed up" with the lack of accountability by our elected representatives who don't even bother to show up for town halls, respond to constituent concerns, or even return a simple phone call. I'm an Army Veteran committed to fighting for social justice and equal constitutional protections. My platform is simple: I will show up, listen, answer questions, and hold myself accountable to constituents in communities throughout Mohave and La Paz counties, especially the remote areas that feel completely abandoned by the current representation. And as a clean candidate, I will be free to vote my conscience every single time I vote for the best interest of my district, (not the best interest of the PACs, Lobbyists, Corporations, or dark money donors). The teacher pay-raise plan passed by the Legislature and signed by Gov. Ducey is a good start, but fails to address the larger problems of underfunded schools, especially in the remote, rural schools in LD5. Classroom sizes are too large. School counselor caseloads are unmanageable and unable to adequately address the mental health needs. Students are riding as long as five hours a day on school buses. School budgets too often don't allow for basic supplies like soap, paper towels, and even toilet paper in the bathrooms. Our children are the future of Arizona. Funding for public education needs to be prioritized. The budget needs to be reviewed, and creative solutions needs to be identified and implemented. The budget process also needs to factor in the unique needs of rural communities. 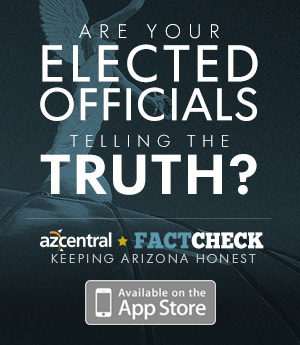 Arizona does not do enough to require accountability and transparency for charter schools. Accountability should be equal for all schools. I support the entire Second Amendment, not just the second half. I support the right of individuals to possess firearms, but I also support the right to feel safe and reasonably protected from the deadly violence of guns. I support a "well regulated" militia. There is no modern-day "militia" organization (i.e., law enforcement, military, etc.) that doesn't implement stringent background checks before issuing a gun capable of killing other human beings. I support strengthening the background check process, to include a universal background check on gun sales between private parties. I support closing gun show loopholes. I support improving communication between military and civilian courts. Weapons of war have no place in civilized places. I support banning bump stocks and automatic weapons. Mass shootings can not be prevented. As long as there is access to guns in our society, the possibility of a mass shooting will always exist. I support early childhood programs such as HeadStart and other pre-school programs that provide positive environments for socialization skills to be developed early in life. I support smaller class sizes that allow teachers more time and energy for one-on-one student interventions. I support mental health trained school counselors in every single school, with caseloads small enough to allow for interventions needed with at-risk students. I support anti-bullying programs in every school. I support unarmed resource officers and unarmed teachers in schools. I support functioning PA systems in schools. I support school curricula that includes character building skills. No body enjoys paying taxes, yet we all enjoy the quality of life, safety, and protection our taxes provide for the community services that invisibly wrap around our lives. As a legislator, I would be inclined to support a tax structure that is fair to both individuals and businesses, and a tax structure that provides a fair distribution of burden across income brackets. I support decriminalization of recreational marijuana. Recreational marijuana should be regulated in the same manner as alcohol. I believe Arizona's increased restrictions are encroaching on a woman's constitutional protection to make decisions about her own body in the privacy of her own life, without undue restrictions by the government. And just as I support the constitutional protection that provides for the right of one individual to make the choice to protect their own life by using a gun to terminate the life of another, I support the constitutional protection that provides for the right of a woman to make the choice to protect her own life with a procedure that terminates the potential life within her body. I don't want the government to take away anyone's guns, but I also don't want the government to take away a woman's choice over her own body. A right is a right for all people. The water crisis in Arizona is the #1 most critical issue facing this state, because water is life. There is no "hundred year plan." Maricopa County has over-developed beyond the capacity of its water, and now is encroaching on other county's water sources. All but three counties in Arizona have been designated as natural disaster zones by the United States Department of Agriculture. There is no "potential" water shortage, there IS a water shortage, and we need to start legislating accordingly. Development plans need to be based on the reality that Arizona is using water faster than what is being recharged. Water management plans need to be responsible and sustainable. Water usage needs to be incentivized for everyone, including businesses. Counties need to be zoned responsibly. Zero-scaping and water conservation needs to be implemented in building and zoning codes. Water conservation plans need to be developed state-wide and locally. I support equal constitutional protections for ALL people. Period. I would absolutely support a statewide law that bans discrimination against lesbian, gay, bisexual, and transgender people in public accommodations. It's morally reprehensible to discriminate against the LGBTQ community. If a business is open to the public, then the business needs to provide equal service to all members of the public equally. Each county has its own resources and limitations. Sustainable growth needs to maximize the resources within its limitations. Remote, rural La Paz and Mohave counties are rich in some of the most amazing natural recreational solitude, which needs to be packaged more effectively to maximize the "destination adventure" marketability of our recreational geology. There is a huge untapped market that could enhance the prominent tourism industry within LD5. I do not support further expansion of the Empowerment Scholarship Account program. Arizona's public education system needs to be bolstered, not undermined by the deception of "choice." There is no "choice" in rural, remote LD5. I would vote to repeal the 2017 expansion of the voucher program. Arizona's southern border is also the national border between the US and Mexico, so there is a joint responsibility. Border Security is one of our most important issues in Arizona. We need a strong, secure border. I support the Border Strike Force as an interagency team. I support well-trained border agents supplied with cutting edge technology to protect our borders from illegal drugs and the inhumanity of human trafficking. I support the "rule of law" that allows for refugees and asylum seekers to find sanctuary and safety within our nation's values of compassion for all humanity. When a Legislator can be censured and forced to resign, then turn around and qualify for the ballot, the Legislature has NOT done enough to address concerns about sexual harassment among its membership. The issue I feel hasn't received enough attention at the Capitol is the need for social media policies of elected officials to be updated to include constitutional protections of First Amendment rights of constituents. Current practice includes public officials "blocking" constituents on official social media accounts. Arizona open meeting laws have been changed to incorporate social media interaction into its regulations based on the recognition that social media is a virtual public forum. Public officials need to recognize that blocking constituents on social media is the exact same things as blocking a constituent from participating in any other form of public town hall meeting. And the policy at the Capitol needs to be updated to reflect the role that technology is playing in constituent interaction and communication. I believe the greatest threat to Arizona's future is the divisive rhetoric that is polarizing our parties, dividing our communities, and creating a dysfunctional political gridlock that makes it nearly impossible to get work done for the constituents of our districts. I address it by attending events and building relationships with people across all parties. I address it by holding multi-partisan community events and promoting a multi-partisan solution to issues. I address it by calling out people who are engaging in divisive political rhetoric. I address it by listening to and having conversations with constituents of every party even as I am campaigning. And as a Legislator, I will hold town halls, listen to all constituents, and work very hard to find a way of meeting the needs of the greatest number of constituents possible.